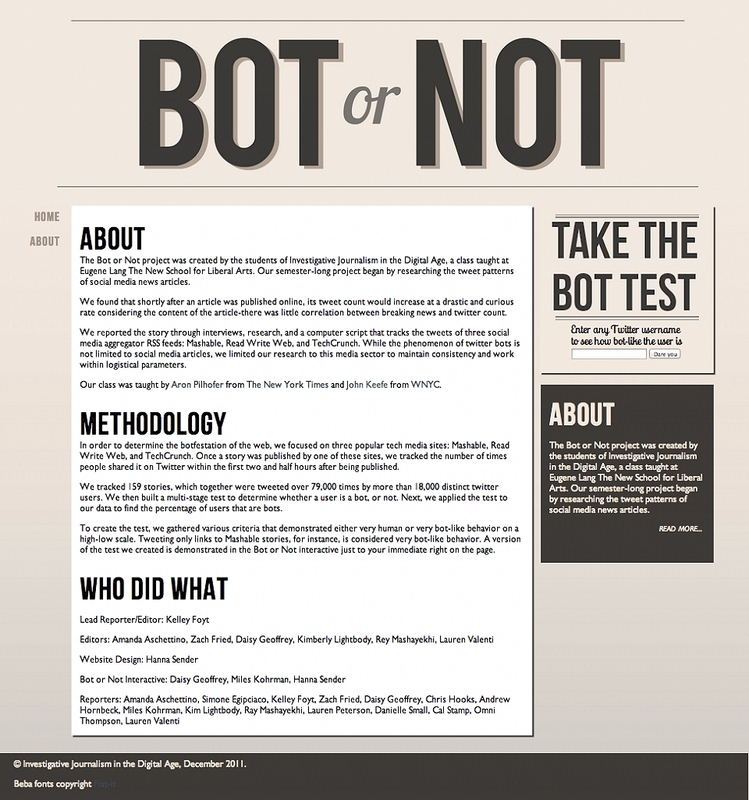 The Bot or Not project was created by the students of Investigative Journalism in the Digital Age, a class taught at Eugene Lang The New School for Liberal Arts. Our semester-long project began by researching the tweet patterns of social media news articles. We found that shortly after an article was published online, its tweet count would increase at a drastic and curious rate considering the content of the article-there was little correlation between breaking news and twitter count. We reported the story through interviews, research, and a computer script that tracks the tweets of three social media aggregator RSS feeds: Mashable, Read Write Web, and TechCrunch. While the phenomenon of twitter bots is not limited to social media articles, we limited our research to this media sector to maintain consistency and work within logistical parameters. Our class was taught by Aron Pilhofer from The New York Times and John Keefe from WNYC. In order to determine the botfestation of the web, we focused on three popular tech media sites: Mashable, Read Write Web, and TechCrunch. Once a story was published by one of these sites, we tracked the number of times people shared it on Twitter within the first two and half hours after being published. We tracked 159 stories, which together were tweeted over 79,000 times by more than 18,000 distinct twitter users. 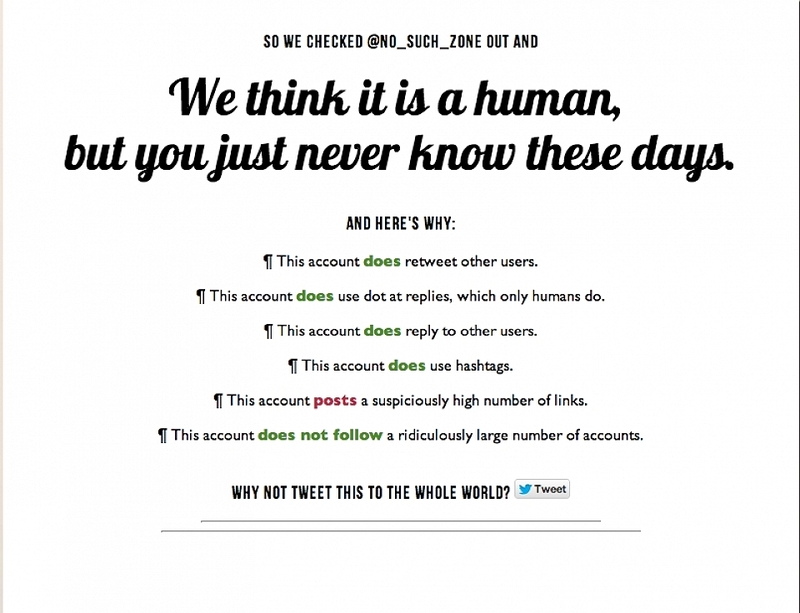 We then built a multi-stage test to determine whether a user is a bot, or not. 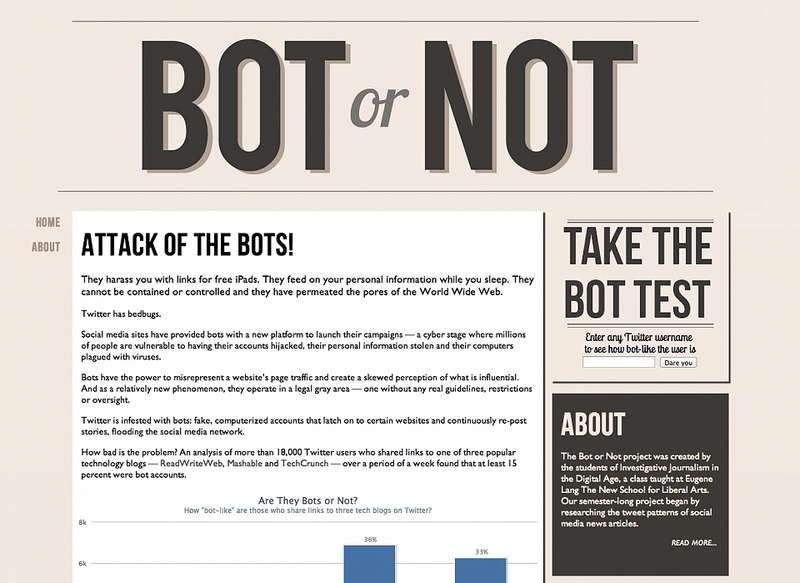 Next, we applied the test to our data to find the percentage of users that are bots. To create the test, we gathered various criteria that demonstrated either very human or very bot-like behavior on a high-low scale. Tweeting only links to Mashable stories, for instance, is considered very bot-like behavior. 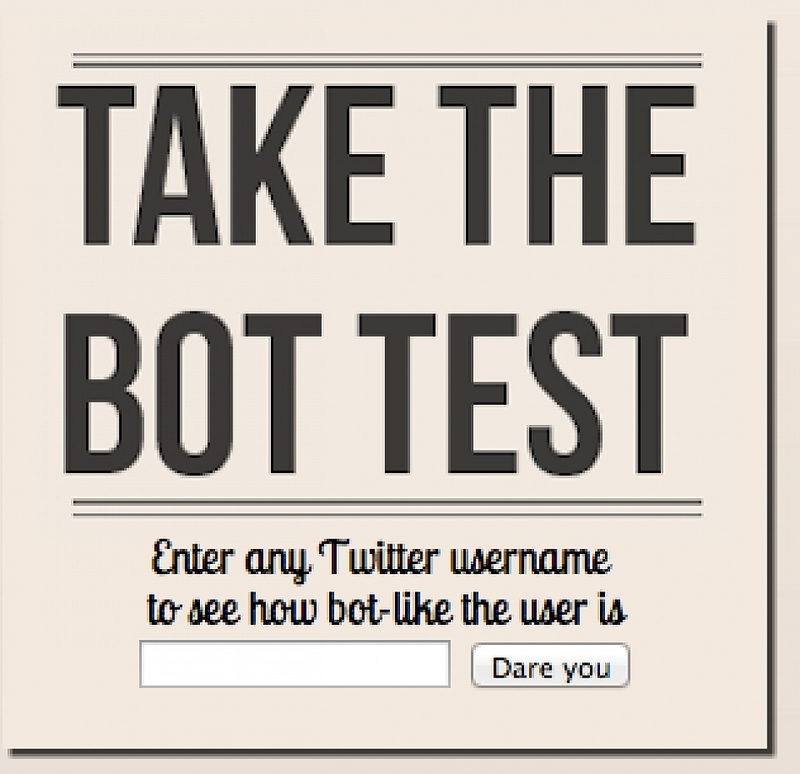 A version of the test we created is demonstrated in the Bot or Not interactive just to your immediate right on the page.